Everybody likes fruits. They are tasty and useful for our health. Fruit gifts are suitable for any occasion, for any even unfamiliar people. 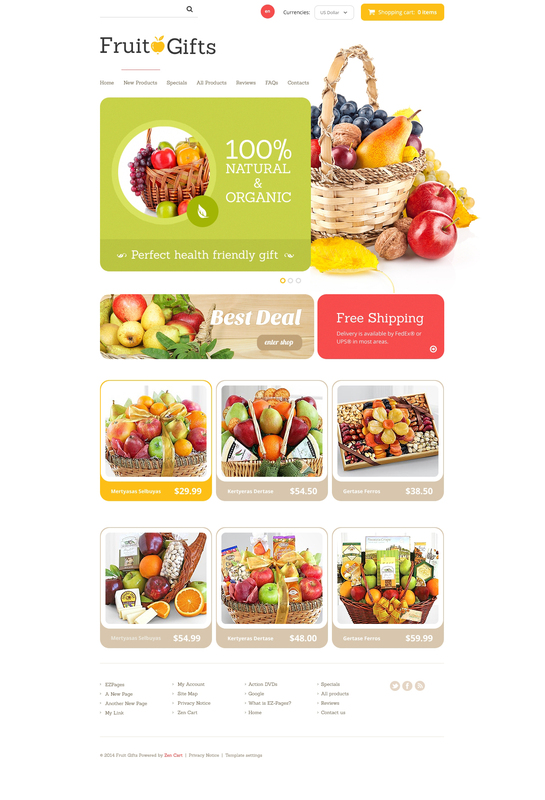 You can highlight your stylishly decorated fruit baskets at the online store and draw more customers that will quickly raise your conversion rates. Look at our fresh, cheerful template. Don't you see that this could be a great and easy start for your online business? It looks nice and yummy, your customers won't be able to resist its charm. We wish your delicious business grow worldwide and become much more profitable than it is now.